For the first time in Nobel Peace Prize history, the prestigious honor has gone to a group of women, in honor of women. 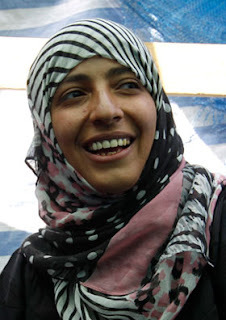 On 7-10-2011, the Norwegian Nobel Committee awarded Liberian President Ellen Johnson Sirleaf, Liberian activist Leymah Gbowee and Yemeni peace activist Tawakkul Karman with the 2011 Nobel Peace Prize. and for women’s rights to full participation in peace-building work"
"Ladies and gentleman, the Norwegian Nobel Committee has decided that the Nobel Peace Prize for 2011 is to be divided in three equal parts between Ellen Johnson Sirleaf, Leymah Gbowee and Tawakkul Karman for their non-violent struggle, for the safety of women and for women's rights to full participation in peace-building work.” Mrs. Sirleaf is Africa’s first democratically-elected woman president. Gbowee is known for uniting women against Liberia’s warlords. And Karman is a Yemeni journalist and an outspoken human rights activist. 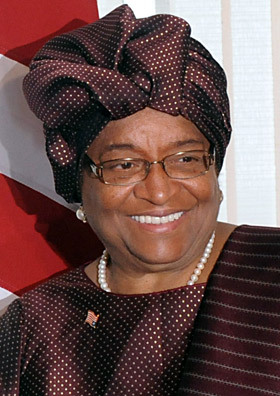 The Harvard-educated Liberian president took office in 2006, putting women’s rights at the top of her agenda. She said that she owes the award to African women. "I am very excited, thankful and humbled," Sirleaf said. 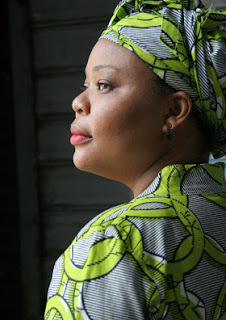 "I believe it is a recognition of many years of struggle but I also believe it is a recognition of the Liberian people quest for peace."